This is not just any rank, but a careful selection of a group of leaders in a number of fields who we believe pull the strings and somewhat shape their areas of work with their vibrant passion and short, but precious, expertise. Our attempt is not to give you a list of powerful people money wise, but to bring you some of the brightest young talents out there, whose impact and achievements are remarkable and a direct result of their unique ambition and talent, which has granted them a powerful level of influence in today’s society. You’ve got to meet them, read their stories and discover what makes them stand out in today’s highly competitive world. We are certain that you will be able to relate to their beginnings and become immediately inspired when you find out the simple moves that changed their games, and can indeed start changing yours today! Born in Vermont, and said to be obsessed with data, this openly gay and confessedly shy talent, has often been referred to as a workaholic by those who have worked with him. The 36 year old Columbia University graduate is responsible for Hillary’s humble approach to a presidential campaign full of challenges that aimed to reach middle class voters in a modern yet smart way, that values and uses technology and all available data strategically. 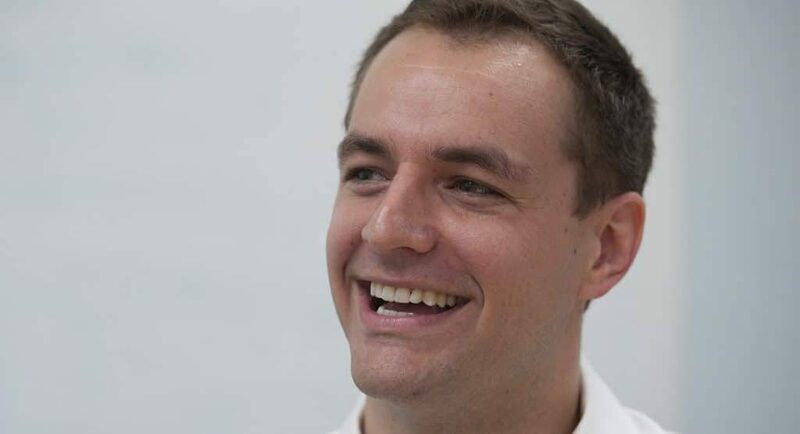 Robby Mook carries one of the most impressive resumes in the world of Democratic campaigning, with major highlights that include his participation in Obama’s 2008 team in Nevada, Indiana and Ohio, working for Hillary’s first campaign and leading the Democratic Congressional campaign committee. Not one to brag about the political races he’s helped win, Mook, son of a Dartmouth College physics professor, continues to pull strings from the shadow and work restlessly out of the spotlight, where he feels much more comfortable. His early start in politics working his way up from college Democrats, have given Robby enough experience to face his latest challenge, leading a campaign full of big names that he needs to keep on track and working in the same direction to go in favor of his candidate. It is Mook’s loyalty and dedication which have made him worthy of the Clinton’s trust and respect. Bits of Knowledge: Do what you are good at, specialize, gain expertise, as it can become your degree. While at it, don’t worry about recognition: if your work is good, it will come, whether you want it or not! Because it is your achievements that will earn you serious points in the race of life.